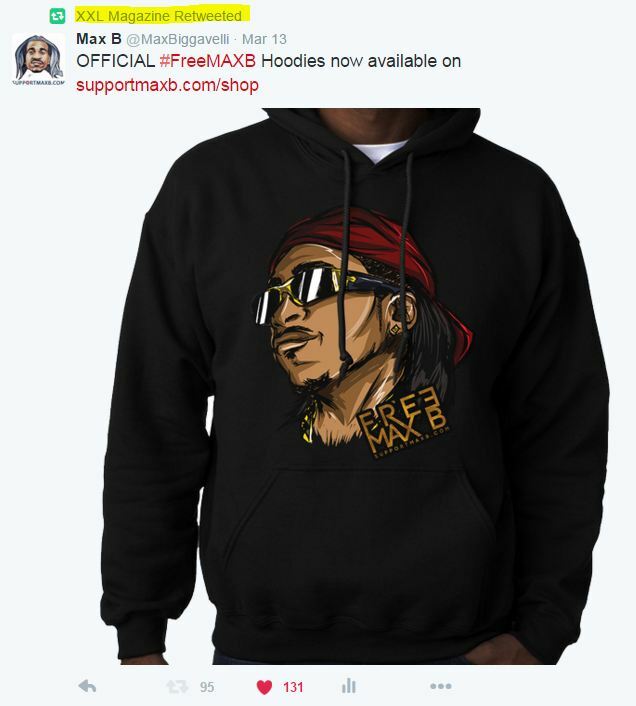 OFFICIAL #FreeMAXB Hoodies are now available on supportmaxb.com/shop (10% off code: #wavegod). 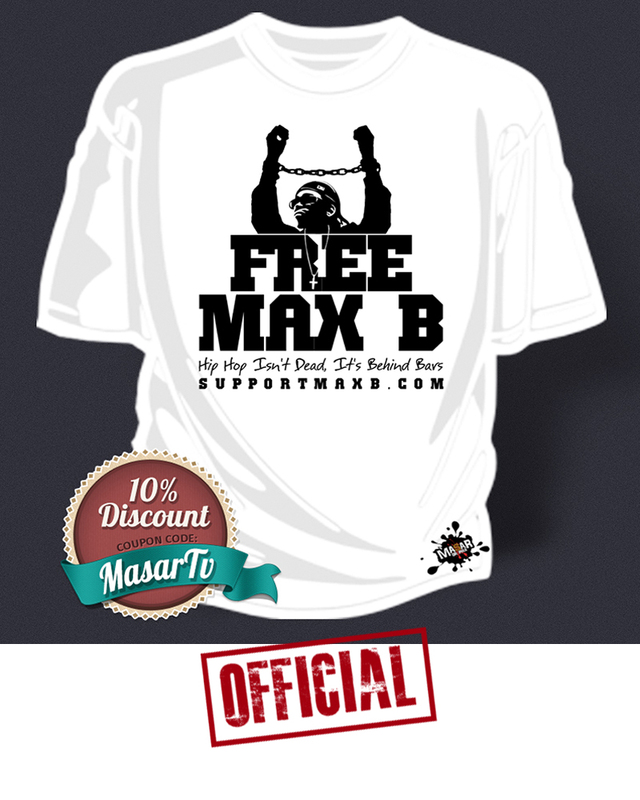 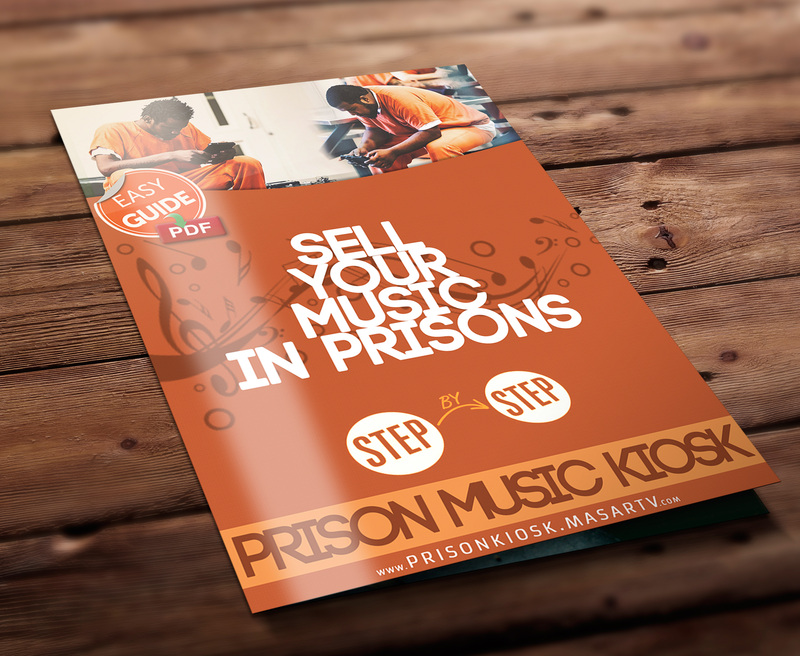 With his name being stirred up in the recent Kanye West and Wiz Khalifa saga a few months back, and with his French Montana collaborative Wave Gods project out, Max B is continuing his push for freedom. 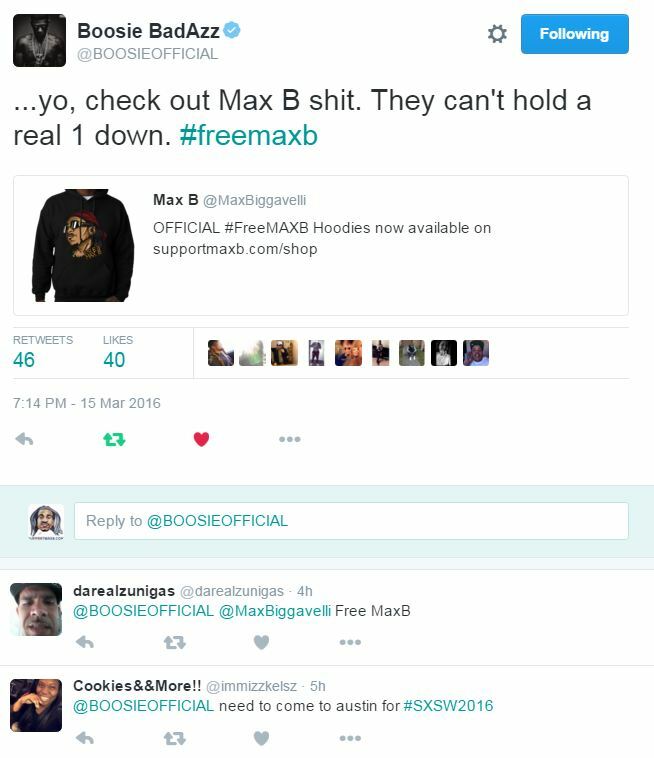 In doing so, Max B has launched a line of hoodies that feature a side profile of Max B and a “Free Max B” emblem on the bottom right corner. 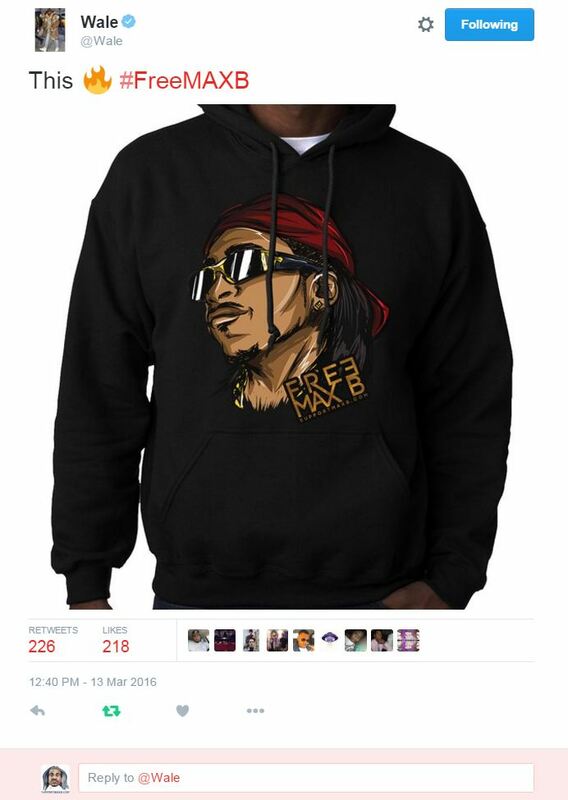 The hoodies are priced at $80 a piece and t-shirts are priced at $20. 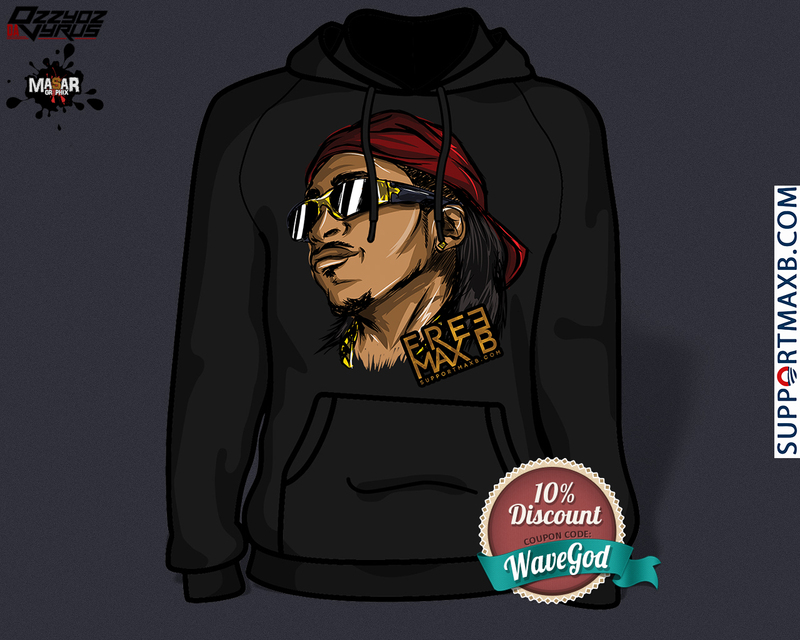 There is also a packaged deal that includes Blue Ray discs of the Wavy Baby Volumes 1-3 and all three of the t-shirts for $50.